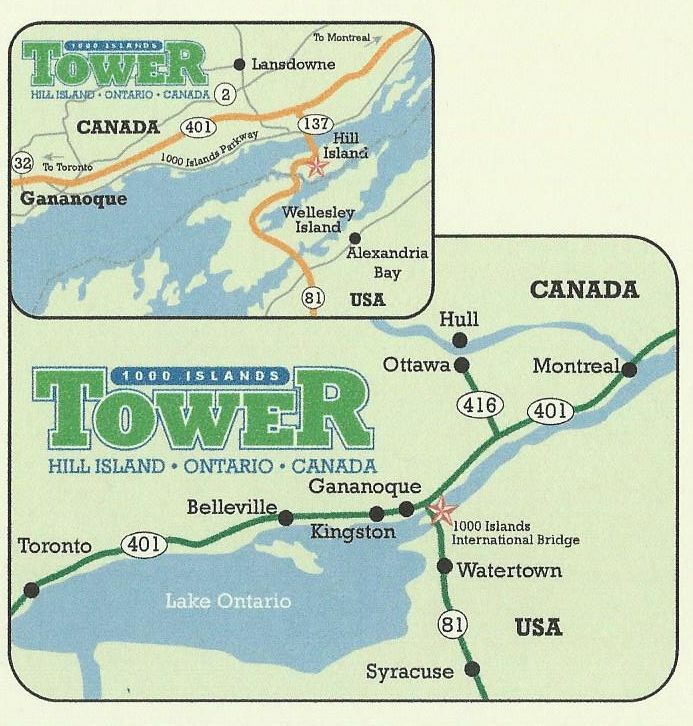 We are located on Hill Island, Ontario, Canada. From the Canadian side: Take Exit 661 off Highway 401 onto Highway 137 south. Proceed through toll both, after 500m you will find us on the left side. You do not need a passport coming from the Canadian Side. From the U.S. side: Take I-81 to Canada, past the customs you will find us on the right side of Highway 137 after 500m. You will need a passport to cross the border to come into Canada.